Stargazers are among the most sought after variations of lilies. They represent ambition and aspiration. When the occasion calls for it, treat a loved one to bursts of Inspiration and encouragement with this gift package priced within budget at only $78. 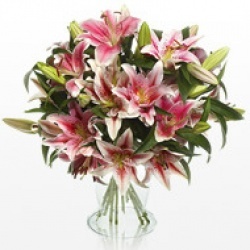 It is a stunning bouquet of only the freshest, select-quality 5 stems of stargazer wrapped elegantly. This gift package is ideal for occasions for Floral Bouquets. For Mother's Day, a graduation, debutante party, and occasions that usher in a loved one?s move to newer things, send your heartwarming motivation with stargazers. These popular lilies stand for ambition and aspiration. Priced affordably at only $63. This gift package is a breathtaking bouquet of only the freshest, select-quality 3 stems of stargazer wrapped elegantly. This gift package is ideal for occasions for Floral Bouquets and Mother's Day. 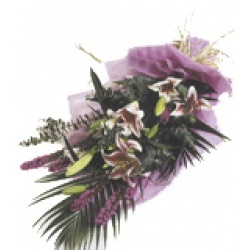 A bouquet of stargazer,carnations and mums wrapped elegantly with fillers and ferns. Red roses epitomize love and also symbolize courage and respect. Keep that special someone closest to your heart with this beautiful red rose bouquet with a small bear heart and ferrero choc. priced within budget at only $88.00. This gift package consists of 1 dozen red roses of only the freshest, excellent quality, wrapped elegantly to let the whole world know just to whom your heart goes out. This gift package is ideal for occasions for Roses, occasions for Floral Bouquets, and Valentine's Day. 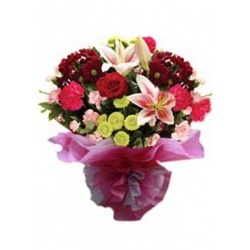 A spring bouquet of assorted flowers like mums, roses, liliums and carnations elegantly wrapped. Perfect for any occasion (valentine's day, birthday, mother's day etc). May choose color motiff. Florabella Florist is your best source to send flowers and gifts to your loved ones in the Philippines. We offer FREE DELIVERY of flowers and gifts within Metro Manila Philippines. Enjoy the best prices for flowers and gifts, cheap and affordable choices including chocolate, fruits, wine and wedding floral arrangements. Flower Delivery to Philippines. Rose flowers & gifts, too. Mother's Day Rose flowers and Gifts to Philippines. Roses In Vase Delivery to Philippines. Rose flowers, too. Send flowers to Philippines. Roses and gifts, too. Send Roses for Delivery to Philippines. Send Roses for Delivery to Philippines. Rose flowers and vases. Valentine's Day rose flowers and Gifts to Philippines. What Does Valentine's Day Mean To You?